This is the website of Dr. Robert L. Gillette. He has devoted his veterinary career to athletic and working dogs. He was born and raised in Great Bend, KS, a town in central Kansas, where he did a lot of Bird Hunting. His first interactions with Athletic and Working dogs were Retrievers and Pointers. 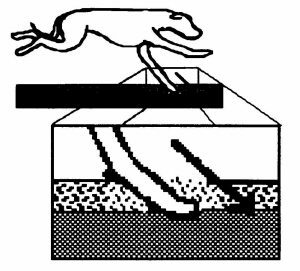 Through an introduction by Dr. Earl Carlson (Mile High Kennel Club, Denver, CO) in 1985, he became interested in Racing Greyhounds and began raising and racing greyhounds in 1990. It was this experience that led him down the path of Canine Sports Medicine. 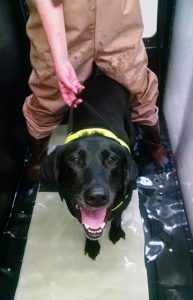 He started using the sports medicine philosophies in his hunting dog, agility, coursing, disc dog and herding dog patients. He realized that the canine athlete or working dog needs a different, higher level of medicine than the general pet population. After a move to Auburn, AL, He expanded his experiences by working with Foxhound Kennels, Professional Hunting Dog Kennels and Sled Dogs. He was also introduced to military working dogs and local, state and federal canine teams that included detection dogs, sentry dogs and tracking/trailing dogs. He graduated from the College of Veterinary Medicine, Kansas State University in 1988. Early in his career he worked as a laboratory animal veterinarian in the Animal Care Unit at the University of Kansas (KU) and with the Kansas Racing Commission when horse and dog racing was introduced to the state. He then went into private practice with a heavy interest in Veterinary Sports Medicine and Rehabilitation. He received a MSE in Kinesiology with a minor in Exercise Physiology from the KU Department of Human Performance in 1998. In 2000, thanks to a donation by Mrs. Dorothy Metcalf, the Richard G. and Dorothy A Metcalf Veterinary Sports Medicine Program was fully funded and he was named the Director of the program. Over the next 12 years it grew to become the Animal Health & Performance Program. 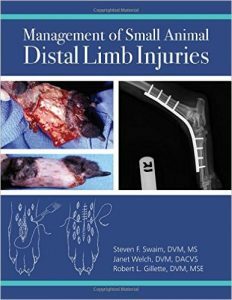 He developed rehabilitation protocols to be used by veterinarians to improve injury recovery in their patients. He also initiated and oversaw the canine performance laboratory. The research led to the development of exercise programs, feeding protocols and nutritional products that improved the dogs’ abilities. This work led to training and conditioning programs to improve canine performance and reduce the physical and metabolic stresses of work and competition. 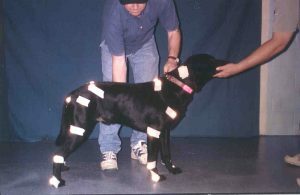 It also improved the knowledge base on to address, treat and manage medical issues and injuries in canine athletes. Subsequently, he became a very active national and international lecturer on the topic of Canine Sports Medicine and Rehabilitation. During this time, he served as chairman of the committee to develop a specialty in the field of veterinary sports medicine and rehabilitation. In 2009, this goal was achieved and the American College of Veterinary Sports Medicine and Rehabilitation was recognized by the American Veterinary Medical Association. He currently has his own practice, SportsVet Veterinary Services in New Jersey. His practice is focused on the Canine Athletes, Working Dogs and Rehabilitation of all pets. He still enjoys working with his clientèle to enhance performance of their canine partners. He has a Gait Analysis Laboratory and he includes Thermal Imaging in the diagnostic work up when needed. He has begun to look at improving animal health through the benefits of exercise and reducing the occurrence of lameness by enhancing structural stability and strength.